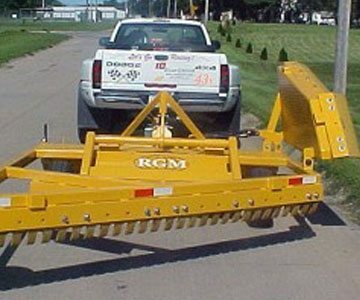 Swihart Sales Company has been a leader for over 40 years in meeting your agricultural needs. From Mist sprayers and blowers, road grooms and S.I. 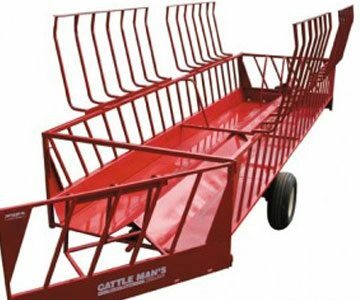 Feeders, Swihart Sales Company offers a wide range of farm equipment supplies that will suit your needs. Swihart Sales specializes in mist sprayers and blowers, in addition to offering other farm and ranch equipment. The low volume sprayers are perfect for individuals who need a mist sprayer for their Christmas tree farm, vegetables, orchards, nurseries or vineyards. 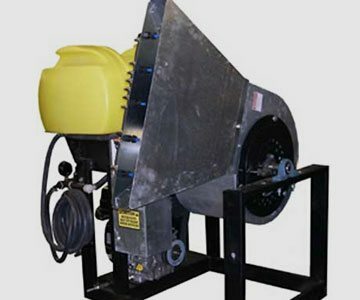 The mist sprayers are also great for spraying cattle, pecan trees, hops, deer, dairy farms, feed lots, fence rows, livestock, melons, pumpkins, steep inclines and wet areas. Swihart’s mist sprayers easily fit in small areas where larger sprayers may not go. They deliver complete blowing coverage engulfing the target area in a fine mist. They also use less water, fuel and labor, offering easy operation, low maintenance, and lower startup costs than many other sprayers on the market. For more information about the mist sprayers and blowers, or other farm or ranch equipment needed for your farm, contact Swihart Sales today. WOW? How nice it is to purchase from Professional people that speak good English. Almost a rare thing in our country today, so sad. I want you to know that first, I received the sales receipt and two knives and pens. Thank you very much. ( I do collect knives and one of them will go into the collection box.) Around 4:00 PM I got a call from the carrier and he was in Jonesboro, ARK, about ninety miles from here and will deliver the sprayer Tuesday afternoon. I think this is remarkable that this transaction could happen so quickly from a call just before a big holiday weekend and the Sprayer be delivered so quickly. That is Professionalism! Thank you very much for the service and trust you put in me. Very few would ever ship a product of that size until the check cleared. Our nation needs to get back to that way of living. It was a pleasure doing business with you folks. It is getting harder all the time to find somebody that acts like they really care whether you buy something from them or not. There are several places to buy sprayers out there but, after talking to Roger, the choice was easy. Thank you for your speedy response to my telephone order and also for your trust on our verbal handshake. It is refreshing to encounter a person that makes it a point to include a touch of God in his business, especially these days when it seems not to be "politically correct". ...I look forward to many years of spraying fun with it and see it as one of the best investments for my Pecan orchard I have made thus far. Many thanks, and God bless you. Just a note to say thank you very much for the extra set of sprayer tips. Your support after the sale is outstanding. You are appreciated. By the way, we have cut our total pesticide use by 60% operating at 35# pressure. Results are not affected. Again, thank you for the service and a very good product. If you need me for a reference in this area please do so. I would be glad to give any future customer a demonstration. Yesterday was the first day in 25 years that I didn't hate to spray. It was also the first I didn't get soaked. You have a fine product and I will spread the word. There are many small orchards in the valley that could use your sprayers. Again, thanks Roger. I will send any business I can your way. Cimarron Valley Research Station does it right! To learn more about our range of exceptional products, contact the professionals with Swihart Sales Company today.